Our Hayward, Wisconsin resort is located on beautiful Moose Lake – a 1700-acre, dark water flowage surrounded by the Chequamegon National Forest. 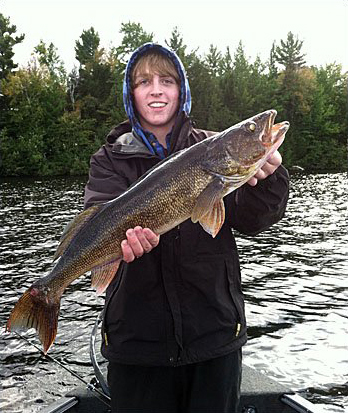 Moose Lake is a true fisherman’s paradise and a great fishing vacation destination. 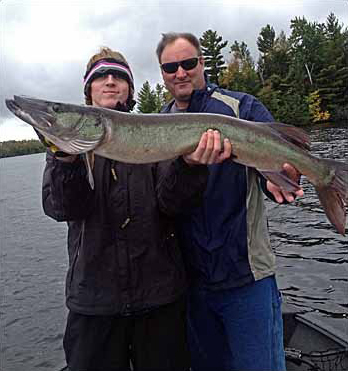 You can fish for large numbers of musky and walleye. Smallmouth bass, black crappies, and panfish are also fun to catch. You will find walleyes in many areas of the lake. These make a delicious shore lunch. 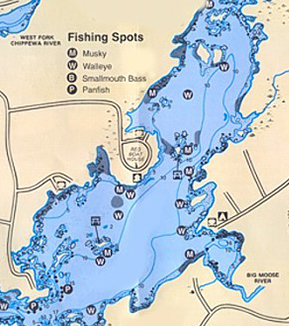 Moose Lake is a Class A musky lake and is one of the best natural reproduction lakes in the state for walleyes and musky. Large numbers of smallmouth bass – known as the acrobats of the north – are very plentiful in Moose Lake. These fish await your lure so they can give you a good fight. Pound for pound they fight the hardest of any fish. You will enjoy catching these fish and watching them dance on theirs tails on top of the water. We have some of the best experienced guides at your disposal. Please ask us for their information. Need a fishing boat or pontoon? Mystic Moose Resort has Lund fishing boats, motors and pontoon boats available for rent. 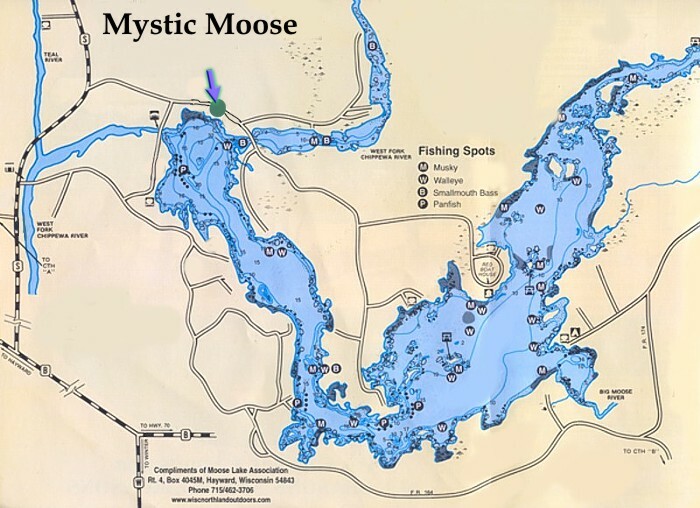 Moose Lake Country and the Hayward, WI Area offer a number of qualified guides. I (Joel) am a licensed guide and will try to accommodate you if not we will accommodate you with the local guides of the area Lakes & Rivers. Float or canoe down the West Fork of the Chippewa River. You will be able to take out at our own dock at the end of the trip. Shuttle and river canoe trip packages available. Please inquire about pricing. Moose Lake is approximately 9 miles long with a rugged shoreline and is surrounded by the Chequamegon National Forest making it a true fisherman’s paradise. It is fed by the West Fork of the Chippewa River and the Big and Little Moose Rivers as well as many springs. The scenery is beautiful year round with over 50 smaller islands which are home to much of the wildlife found around Moose Lakes. 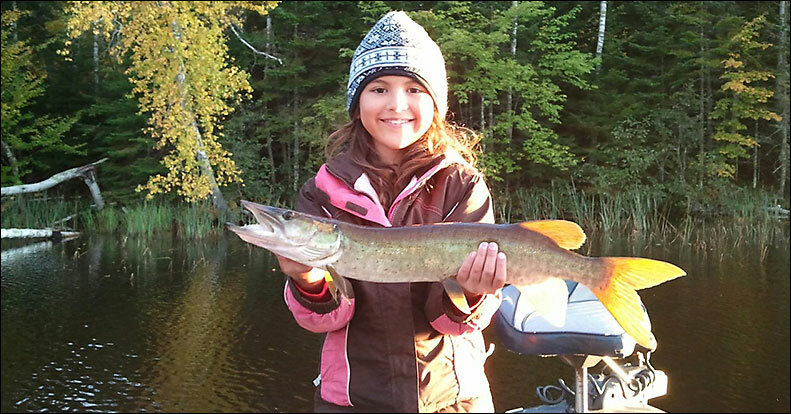 Mystic Moose Resort is home to the annual Youth Musky Hunt which is held every year in late September. Live Bait and Ice is available! !